With the upcoming release of the second-generation AMD Ryzen Threadripper processors, ASUS plans to offer motherboard cooling enhancement kits for its X399 motherboards. 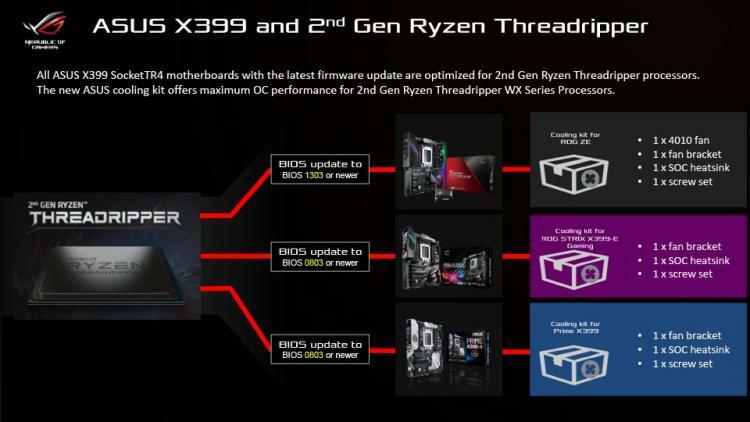 This is to prepare the current line-up of ASUS X399 motherboards for the Ryzen Threadripper 2000 Series’ higher core count including the AMD Ryzen Threadripper 2990WX with 32 cores and 64 threads. The thermal power design of the upcoming second-generation Ryzen Threadripper processors is higher at 250W from 180W TDP of the previous generation thus requiring such cooling enhancement on the power regulation modules (MOSFETs). Aside from the cooling enhancement kits, the X399 motherboards would also require a BIOS update to support the upcoming Ryzen Threadripper processors. 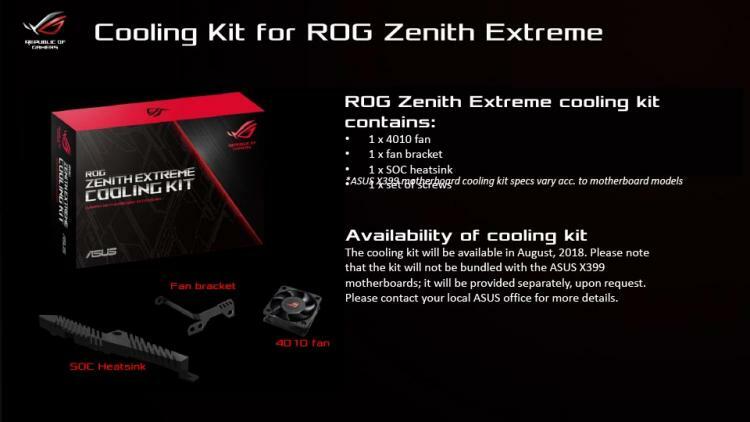 According to 4gamers, a tech site based in Taiwan, there are three different cooling kits for the three ASUS X399 motherboards – the ROG ZENITH EXTREME, ROG Strix X399-E Gaming, and ASUS Prime X399. The cooling kits feature a fan bracket that will allow users to install a cooling fan directly over the VRM heatsink to enable the power regulation modules to handle the higher thermal power design. 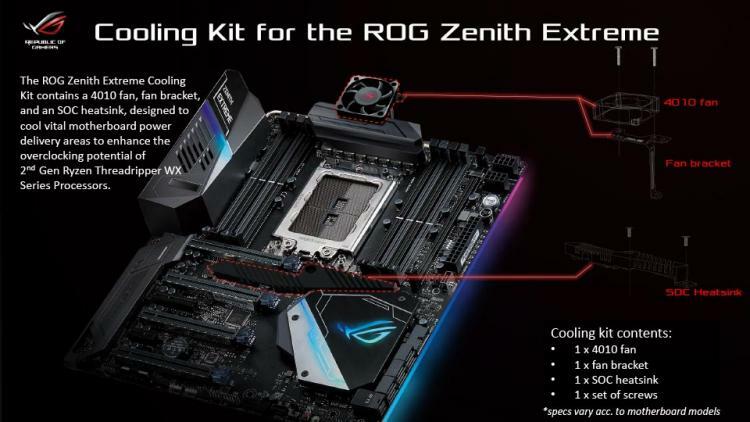 On the other hand, ASUS is said to be bundling the cooling enhancement kits with the ASUS ROG ZENITH EXTREME, ASUS ROG Strix X399-E Gaming, and ASUS Prime X399 motherboards moving forward to enable them to support the second-generation AMD Ryzen Threadripper processors out of the box. ASUS might also be selling the cooling kits separately in the near future.